It was the buzzword two years ago among the automotive coterie. Now, there are more sport-utility vehicles than ever before on the market and carmakers are scrambling to quench demand. Some SUVs are designed to match the performance metrics of a sports car. Others have morphed into crossovers that resemble a car more than a truck. A few cater to large families that require copious space and seating. Audi’s new Q8 SUV can be all of those things if it wants to be. 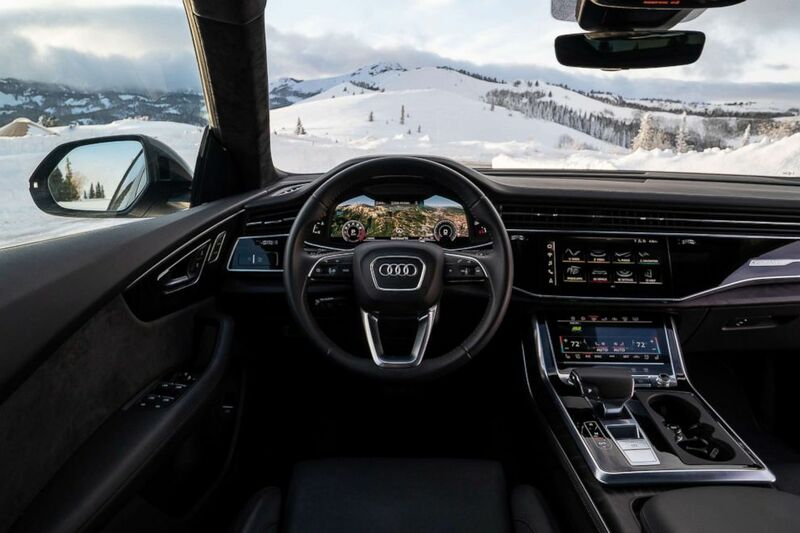 I test-drove the Q8 over three days, a 400-mile journey that took me from Park City, Utah, to the tony ski resort community of Telluride, Colorado. The Q8 and I traversed snow, ice, long stretches of highway, no-name towns, craggy landscapes, meandering cattle and Moab’s famed Arches National Park. 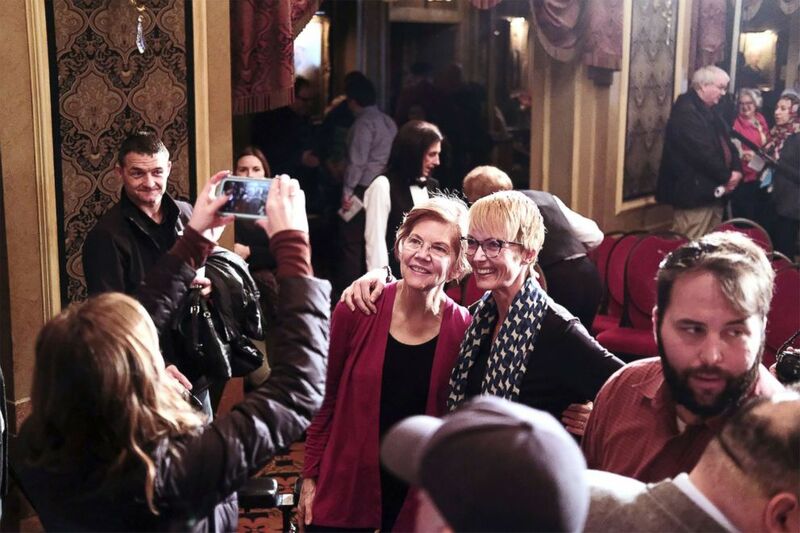 It took two long days and 400 miles to drive from Park City, Utah, to Telluride, Colorado. Nearly 60 percent of Audi’s sales (223,323) in the U.S. last year were SUVs. The luxury German automaker’s best-selling Q5 SUV can be found in practically every parking lot. What did the Q8 have to offer that Audi’s other SUVs did not? This vehicle has “wide appeal,” Anthony Foulk, senior product manager at Audi, told me at a product briefing. The Audi Q8 has a starting price of $67,400. SUVs are no longer just about utility — they’ve become a sense of identity for drivers. Industry research firm Edmunds expects SUVs to account for 50 percent of the overall U.S. auto market in 2019, up from 46 percent in 2018. One Tuesday in January, I left Park City at sunrise. The streets were still slick and coated with snow from the previous day’s storm. The course was set and the journey had just begun. 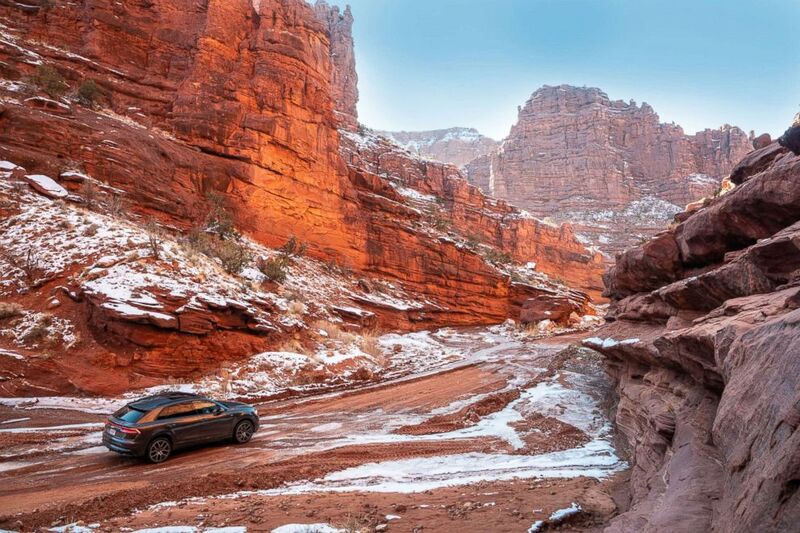 A successful road trip requires three essentials: good tunes, good company and a good car. 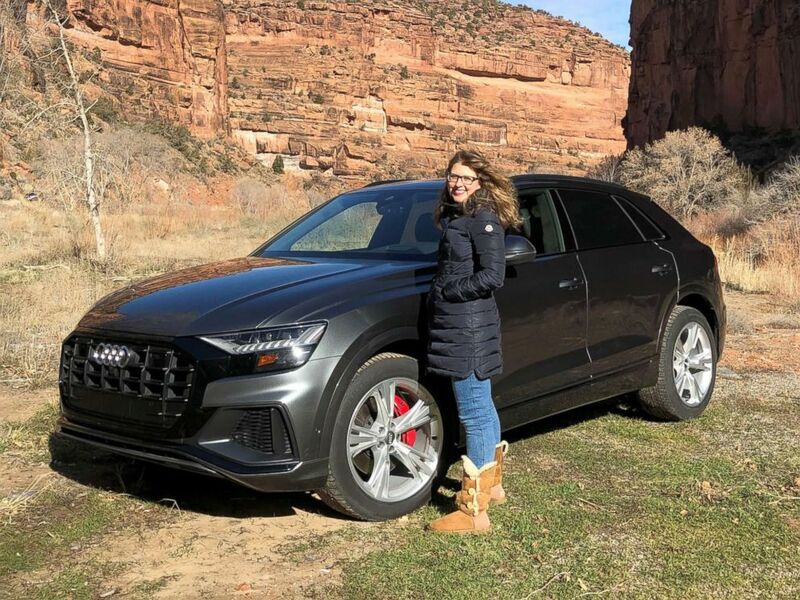 ABC News’ Morgan Korn drove the new Audi Q8 from Park City, Utah, to Telluride, Colorado, in January. The Q8 was my attentive guardian, navigating the strange locales and handling each surprise with agility and confidence: a herd of cattle unwilling to share the road. Melting snow that quickly turned to slush. Hairpin turns up and down winding mountain roads with no guardrails. The Q8 and I experienced it all — sun, snow, extreme cold and biting wind. It never once disappointed. 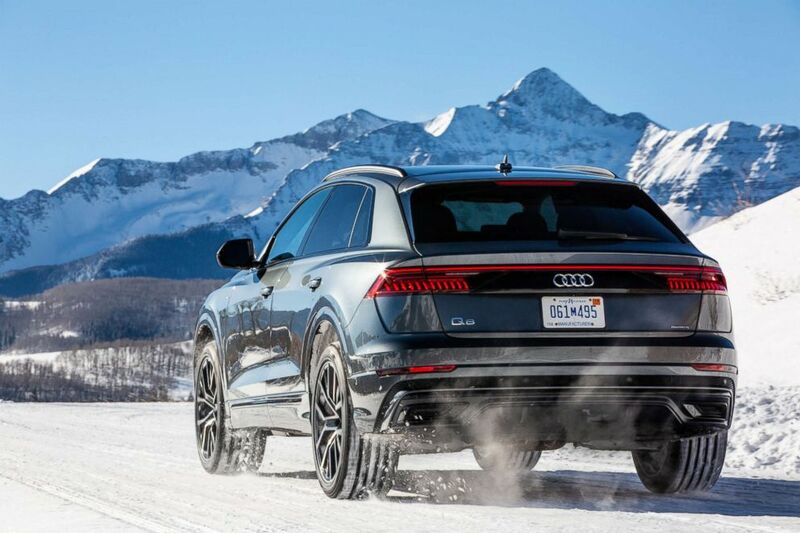 Snow tires helped the all-wheel drive Q8 get better grip on the slippery Colorado streets. 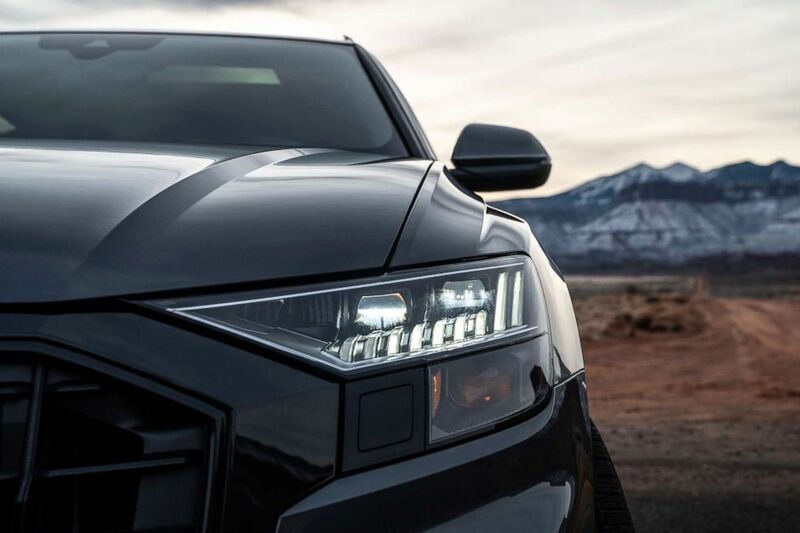 A technological wonderland inside, the Q8’s exterior is aggressive and bold: the octagonal grille, sloping roofline and what Foulk described as its “strong and commanding stance.” This new design language will soon be available in future Audi models. Sporty SUVs are not a novel concept. Porsche, BMW, Mercedes, Maserati, Land Rover and Alfa Romeo have their own dynamic SUV iterations. These vehicles, however, are really designed to attract men more than women, according to Jessica Caldwell, an analyst with Edmunds. Bold, aggressive lines separate the Q8 from the other Audi SUV models. 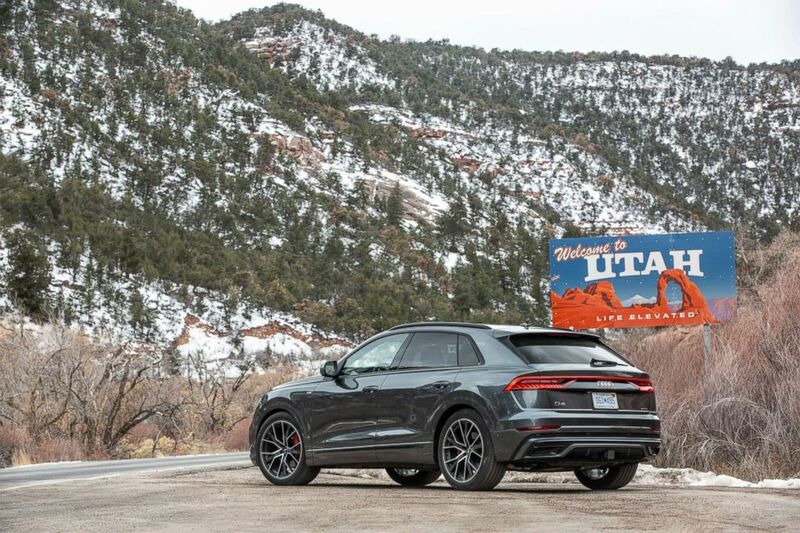 The Q8 may not be a big volume seller like Audi’s Q5 or Q7 SUVs but it doesn’t have to be, according to Karl Brauer, executive publisher at Cox Automotive. There’s another reason why automakers are happily building coupe-like SUVs with aggressive designs, he noted. With a starting price of $67,400, the Q8 may be out of reach for many. A fully-loaded Q8, with top-of-the line driver assistance packages and luxury perks like an Alcantara headliner, a wireless charging box, top-view camera system and HD LED headlights, can quickly spike the MSRP to $100,000. Putting aside the price, the Q8 delivers on what matters to most to drivers. The ride comfort was incredible. Visibility was clear even with the lower roofline. The vehicle’s internal computer played the role of co-pilot as needed, lowering the temperature, finding the nearest gas station or turning on the radio when asked with a simple voice command. The Q8’s six-cylinder, 3.0-liter turbocharged engine boasts 335 horsepower and 369 lb-ft of torque. Zero-60 mph takes 5.6 seconds and the Q8 can reach a max speed of 130 mph. But I wanted more power. The cabin of the Q8. 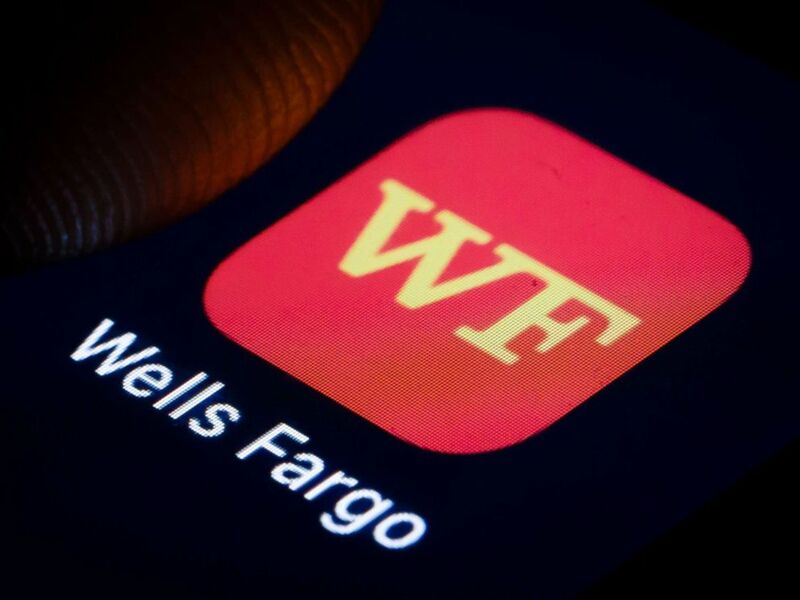 There are two touchscreens and the vehicle’s computer will recognize voice commands with a simple touch of a button. Caldwell said cargo capacity matters more to drivers than speed and power. “The average person buying an SUV is not looking at horsepower,” she said. The Q8 hit showrooms late last year just as Audi started gearing up for the mass market launch of its all-electric e-tron SUV. With SUVs replacing sedans as an everyday vehicle, automakers need to offer something for everyone. The Q8 is no exception.